Today marks twelve years of friendship with my husband, and eleven years of dating (much more on than off that is). We began hanging around each other my last year at Florida A&M University and started dating exclusively a year to the day later when I was graduating. We have literally grown up and spent our twenties together. We look back on it now in complete disbelief honestly, because to many (even us at one point), we were the unlikely couple, “Dwayne and Whitley” from “A Different World.” But, it works, literally and figuratively. Throughout this decade plus, we’ve had many of the normal challenges relationships engender, and some uncommon ones as well. We’ve weathered many changes and storms, and so far we’ve made it through each one stronger, wiser, and closer because of it. So far…. This past year of transitioning as we moved from the U.S. to Singapore certainly came with a few bumps in the road, but nothing we couldn’t handle, and the shift definitely showered us with more blessings than burdens. So far, in terms of our marriage, living abroad and being exposed to so many new opportunities and people has been nothing but beneficial and blissful for us. That is, until she came along. He told me he wanted one years ago. When we were younger and discussing our dreams and goals and fantasies, he told me, in so many words, that he’d be as faithful as his ambitions and desires allowed, and that eventually he’d have to have a little something on the side. I didn’t discourage or dismiss the idea, because I wasn’t sure if I’d ever want a little something on the side myself, and I knew when we had a family, he would no longer be my only relationship focus. He could possibly need a distraction I thought. We were striving to build something like we’d never seen and that would likely require different compromises and concessions. It was an agreement and understanding we made long before we took vows. We would never hold the other person back from whatever could bring them their full happiness and fulfillment, and neither of us would settle for unhappiness in the relationship. So, when he mentioned her a few months ago, I wasn’t as surprised by the fact that she was coming into our lives as much as I was by who she is and what she represents. 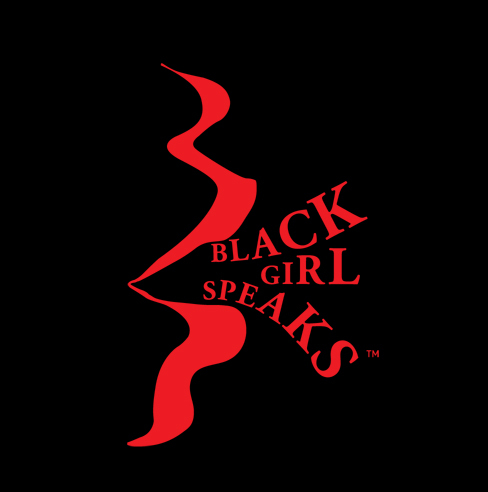 In 2005, I began a company called BGS Productions, Inc. that produces my original theatrical performance Black Girl Speaks, along with a lecture series, a host of spoken word products, and a curriculum for adult and teen workshops. The whole premise behind the company and the movement is to love your authentic self, embrace who you are fully and naturally, and heal by SPEAKing your truths in whatever form you’ve been gifted. At the debut performance, I revealed the dismissal of my relaxer and my newly shaved head to the shock of a full audience, and I’ve been echoing the power of embracing your natural beauty ever since. My husband was and has been my most devoted supporter, companion, cheerleader, investor, mouthpiece, etc. He has worn the banner for Black Girl Speaks at times when I was discouraged, has led projects under its umbrella successfully and fully and completely believes in its mission, purpose, and impact. Black Girl Speaks was truly our first born, and we have nurtured her together throughout our entire relationship. Yet, it has never been my sole focus. I’ve never robbed time or attention from my family to devote to Black Girl Speaks. It’s a shared time. It’s a part of the fabric of our family. Our daughter is even a part of it. I juggle it along with the roles of wife and mother as opposed to putting one down to pick up another, (which could be why its growth has not been consistent.) I see it figuratively as a child for these reasons. My husband, on the other hand, has to focus solely on one thing at a time. We learned through counseling early in our marriage that men tend to be more concerned with things and are task-oriented, while women tend to be more relationship-oriented and better multi-taskers. Of course, this is generally speaking as men and women can manage both, but each gender tends to lean more towards one than the other. My husband is certainly one of those men. He is driven by his ambition and less by relationships. For example, I asked him recently why he worked so incessantly. I wanted to know his joy factors, his push to always do more in every facet of his life. Mine are to please God, spend quality time with my family, and to help and bring joy to others. It took a little while for him to answer because he never really thought about it, but his big payoffs were going to football games & concerts (he wants to have enough money to travel to go to any game or concert he wants anywhere in the world), and providing for his ailing mother, because “every ghetto boy wants to eventually be able to take care of his mama.” Every one of them is a task that requires his sole focus to complete. I knew, if I was going to be dividing his time, attention, energy, and focus with another, I wanted it to be with one I approved of or at least could see myself in a little bit. But, this one is not what I expected at all. There have been others who were equally disappointing to both of us, and they didn’t stick around for long. This one, however, appears to be the one; the one that’ll be woven into our family and seen as respectable even. This one is the one who beckons his call at all odd hours of the night, keeps him from sleeping with and “entertaining” me, and for whom he’ll travel to devote time to on our anniversary. This is THAT ONE, ….and I’m actually happy he’s found her. I didn’t like her at all at first. Everything she symbolized was in stark contrast to my personal beliefs. I found her to be superficial and self-loathing. I thought she was needy and a poor example for my daughter. The fact that she’s Filipino was also surprising because I at least expected her to be Indian or Chinese considering our location and that’s what’s most common here. My feelings are evolving though. I can see now that she not only brings my husband joy and lights a passion in him that nothing else could, but she actually is a great asset to us and essential to reaching the collective goals we have. She has already broadened our network and is much more savvy than I gave her credit for in the beginning. She actually is more a tool for convenience than detriment as I thought. So, I’m embracing her, long weave, high maintenance, and all. I’m welcoming my husband’s mistress into our family because it would be cruel to make him choose between two fantasies; because this fantasy is actually a part of his destiny and every other one before was ripening him for this one. I am not only going to allow and tolerate her existence, but fully acknowledge and support it as he has supported every dream of mine. This is the greatest gift I could offer him on this our decade plus one anniversary. He is a leading pioneer in this industry already as Madali is the premier hair extensions company to exclusively offer the finest quality of 100% Virgin PURE Filipino human hair. Madali is also one of a handful of black-owned and operated companies in the beauty and hair care industry, which is comprised of mostly black consumers. (Another problem with our economics, but I digress. #TheBackToBlackList) I not only can vouch for the quality of the product and the service, but I can definitely attest to the ingenuity, passion, drive, intellect, and prowess of the company’s CEO. If you wear weave, you should be wearing Madali, and this is coming from the “biggest hater” as I was labeled. I realize that not all women wear weave because they hate their hair, but rather for the versatility and to add ease in the transition to embracing their natural hair. Many professional women wear weave to add ease in their corporate matriculation, because sadly, our hair can still be seen as a deterrent and threat. These women just want the ease and convenience of grooming. In fact, the name Madali itself means “ease” in Tagalog, a language of the Philippines. I also realized that more than any other role I play, my most important is helpmate, queen to my king. And, to be that, I must offer the most in spousal support, else I could be on the receiving or giving end of it. He needs me to support this vision, or it’ll perish. He needs me to SPEAK in its favor, or he’ll get discouraged. He needs me, and this relationship is the most important one I have, so I’m stepping up to my responsibility.